Farmers market season has arrived and I can’t get enough of locally grown fruits and veggies! Strawberries are the size of your palm and the mere site of freshly picked squash has me giddy. I’ve been making this salad a lot lately – it has incredible flavor and it’s easy to throw together for a quick meal. 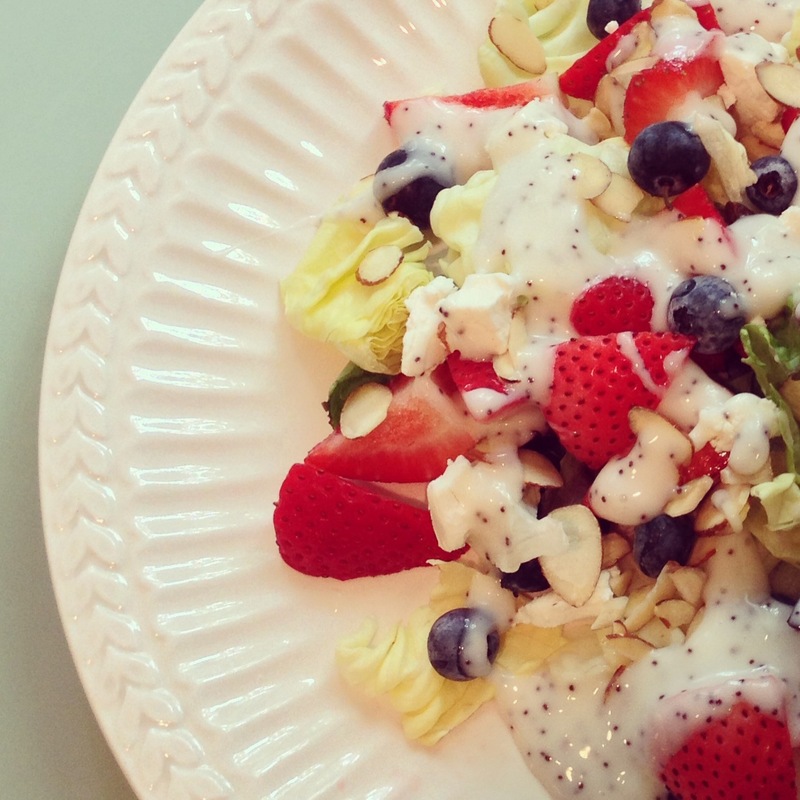 Toss the lettuce, berries, goat cheese and almonds and top with the poppy seed dressing. And if you’re feeling extra hungry, add in some sliced chicken.